Happy Friday!! Yikes.... before I know it, this week has flown by so fast and I have missed blogging almost the whole week. Been totally in spring cleaning mode, so I've been busy cleaning & trying to re-organize my room. I cleaned up my stash quite a bit and I found good home for all the goodies. I am sending the stash to Kelly Latevola, who currently collecting crafty goodies to help her friend Angie who lost everything in an apartment fire. Please check out Kelly's blog post if you are interested to help out. Now the cleared up space didn't last long at all. Hah! I have quite a few new stuff coming in thanks to a couple fabulous gift certificate that I won recently. This time I ordered a few sets that's been on my wish list for a while. A couple of my favorite sets are Technique Tuesday Ali Edwards Summer sentiment set and this Hummingbird set from Kaiserkraft. I just love, love, love them! The font combination in Ali Edward's sentiment designs always make my heart beat faster. Yes... that's how much I love her designs. :) And how true is that sentiment? In case you are wondering, no I don't work for Technique Tuesday, I simply believe in gushing about products that I do love. I only have a few of Ali's sets but every time I used them I cannot help but feeling wow, I love this and it's so great that you can use her set for card as well as for scrapbooking. I have a long wish list for Ali Edwards set. Hm... when is my birthday?? Sigh... still months away. And that birdie stamp?? Make my heart pitter patter, too. 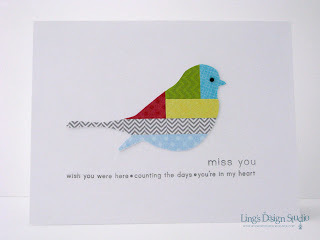 For some of you who have followed my blog for awhile you know how much I love bird stamps. The moment I saw this one I know I have to have it. Now, since I didn't post anything this past few days, we can play catch up, right? How about 2 cards for 1 day? This next card is a card I made for Hero Arts flower challenge. Yep, my rare moment where I use flowers for my card. I always find them pretty but challenging to use. 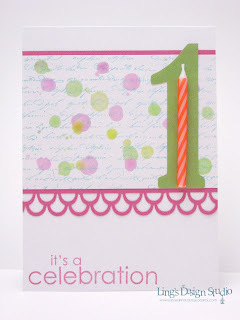 Note to self: have to remember to try stamping with white on colored cardstock more often. 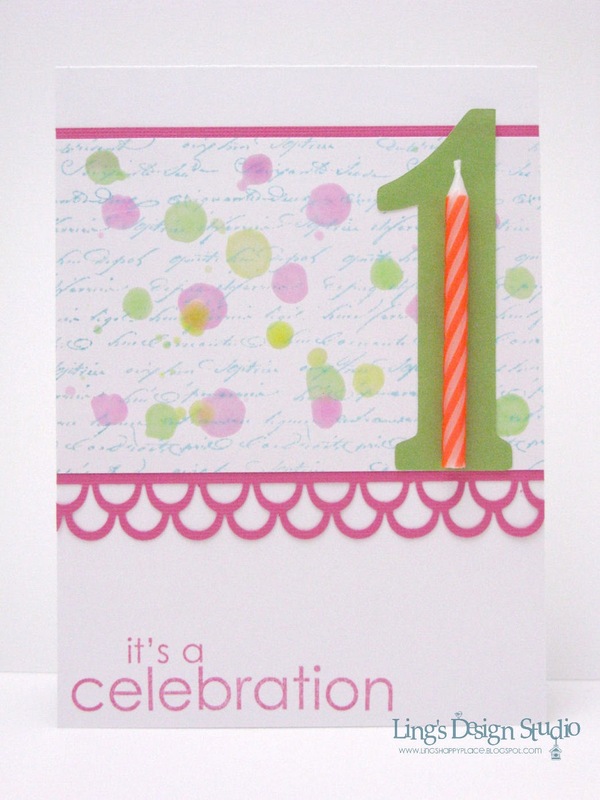 Thank you all so much for stopping by here and just an an fyi, we will have a big & fun blog hop coming this weekend as Lily Pad Cards celebrating their 1st birthday! Hope you will join us & help us celebrate. I wish you all a day full of sunshine. Quick post. Today I have a fun project up on May Arts blog. 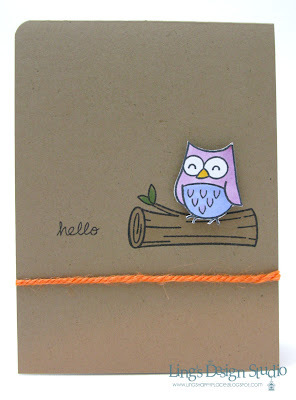 This week we are teaming up with Sweet Stamp Shop and I get to play with May Arts new burlap ribbon. Check it out & you can also win some fabulous goodies. Simply leave a comment on the blog post HERE. Comment #60 left by Lynda!! Lynda, congrats.... you win the Paper Crafts Practical Solutions. Please email me your mailing address. Thank you again to everyone and have a blessed Monday! 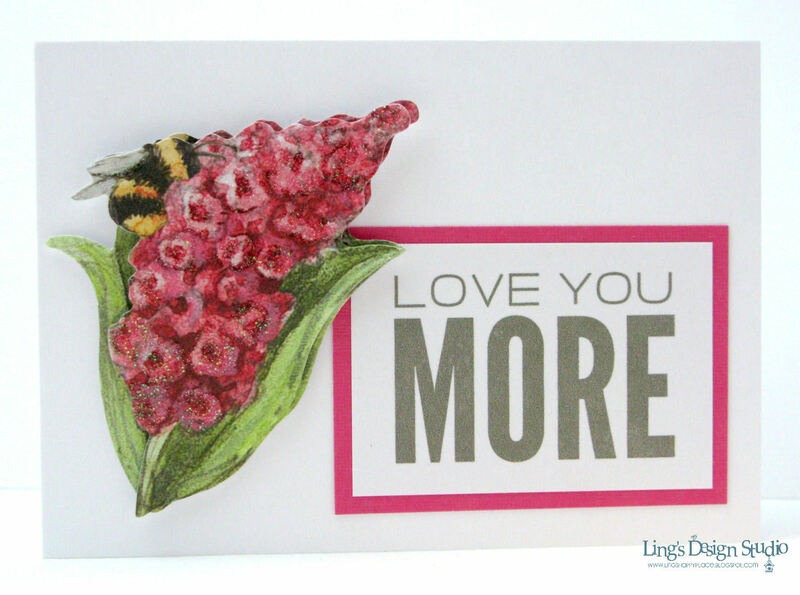 New challenge is up on Lily Pad Cards and this time our theme is flower and this fun challenge is sponsored by Simon Says Stamp. 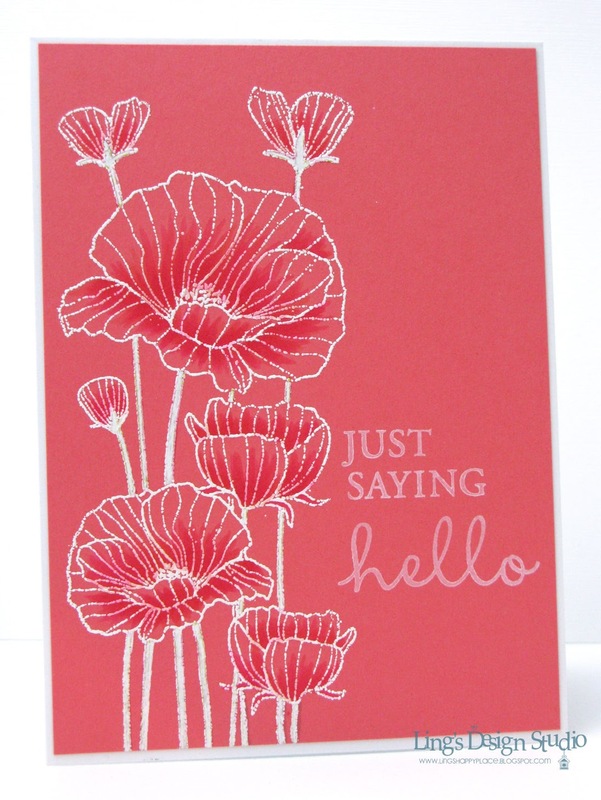 And, here's my card using flower in a teensy weensy way (hm... not sure if teensy weensy is actually a word, but I like the sounds of it). My flower came in form of fabric tape. 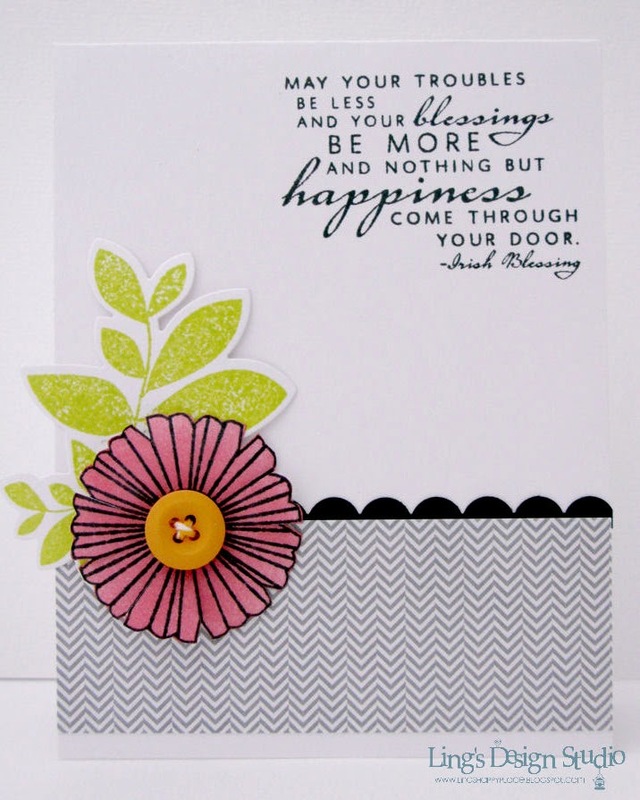 I think it's a great way to include flower in your card without using actual flower embellishment. 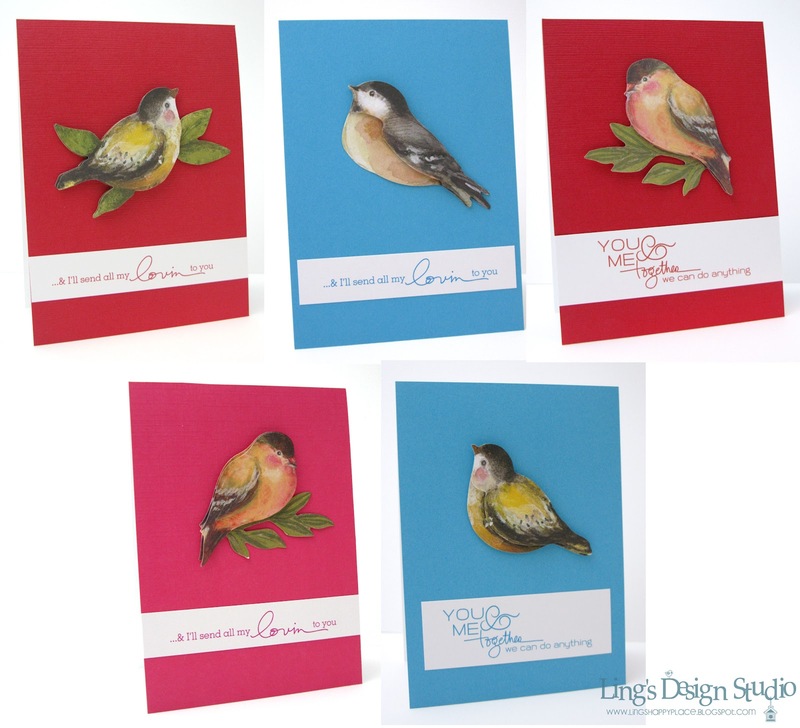 The DT gals has created some fabulous inspirations, please check them out at Lily Pad Cards and I am looking forward to checking our your creations for this challenge. Happy Friday! Hi everyone and welcome to Paper Crafts blog hop as we are celebrating the release of Paper Crafts Practical Solution. I love, love this issue as there are so many awesome ideas on this edition. First up is a small 3" x 4" card set. The moment I saw this K&Company sticker pack, called Meadow designed by Susan Winget, I fell in love with it right away and it such a good deal. Normal price for this set is $4.99 and with 40% off coupon I only have to pay $2.99 for the pack and it has 24 beautiful layered stickers, which make it to only $0.13/sticker.. Always, always, pay attention at what's on sale & I use coupon whenever I can. Oh, did I mention, I have Michaels, Hobby Lobby, and JoAnn all within 10 minutes from my house? Coupon, sale, & craft galore!! Not only this card set is easy on the budget, it's super quick & easy to make as well. As you can see, it didn't cost much more to make this bigger set. 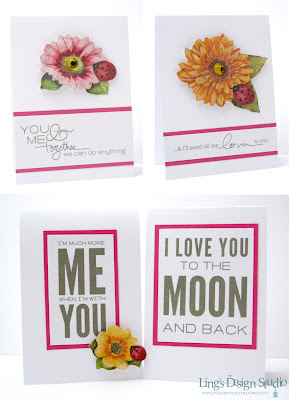 Simply by using the right ingredients you definitely can make beautiful cards at affordable cost. Check out these talented ladies and see what they have created for today hop, which I am sure is awesome & fun! If you'd like to order a copy of Paper Crafts Practical Solutions, you can order it HERE. And, PC also has generously give me one issue for giveaway. Simply leave a comment on this post by midnight CST Sunday, 3/25/2012. I will pick a winner on Monday and post the winner name on the same day. You can also leave a comment on each blog and on Paper Craft blog to increase your chance to win. Thank you so much for stopping by here and I hope you enjoy our mini hop. Hello and welcome to PSA Essentials & Basic Grey blog hop. If you arrived here from Megan Klauer, you are on the right track. In case you missed any of the link, you can always go to PSA Essentials blog for a complete list of the participants. For my card, I am using this beautiful grayish patterned paper from Basic Grey Boxer collection. The red dots on this paper, makes it perfect to use with any of the image from PSA Essentials Rosettas set. I simply use the red dots on this paper as my placement guide to stamp the image. I then colored the image with markers, cut the paper into 3 strips before adhering them to the card. The silk ribbon is from May Arts. It's my favorite ribbon to use to do double bows as they're thin and not bulky at all. Great prizes, right? I've been eyeing the Basic Grey Konnichiwa paper pack. Saw them at CHA and I LOVE them. From here, please hop on over to your next stop... Jamie Cripps. Hope you enjoy the hop and thank you so much for stopping by here. I just have to share one more of my card that get published in Paper Crafts Practical Solutions, because this one is absolutely my favorite from all the cards I made for this edition. So happy that I can make a CAS card using this ribbon fish. 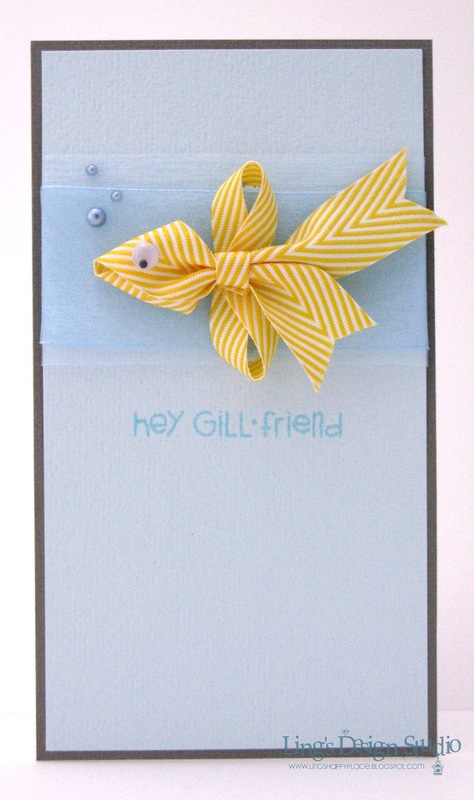 I previously made this kind of ribbon fish a couple years ago like you could see on my blog header. I love this one even more, because I think the stripe twill pattern works so much better & makes it more fun compared to when I just used solid ribbon. Don't you agree? Come back tomorrow for a couple fun blog hops. As always... if there's blog hop, there's giveaway, too. Oh yeah.... did you THIS official announcement? Yep.. I'm officially on board the Lily Pad Cards crew now. Have a great Thursday everyone! 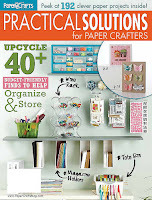 This week, Paper Crafts is celebrating the release of their special edition Practical Solutions. And, I am so thrilled that for this publication I have 7.... yes 7 cards!! I was jumping up and down when I got the acceptance email. I worked hard for this edition and submitted a bunch of cards and so thankful and grateful when that many got accepted. Here's a peek at one of my card that focus on creative way to use scraps as seen on PC Practical Solution page 70. I have to say this edition was one of my favorite to work on. I like the idea of using household item and using your scraps (which I have tons and tons of. Eli the puppy been trying to help cleaning it, too by stealing a piece of scrap whenever he could and ended up with me chasing him. Heh...). 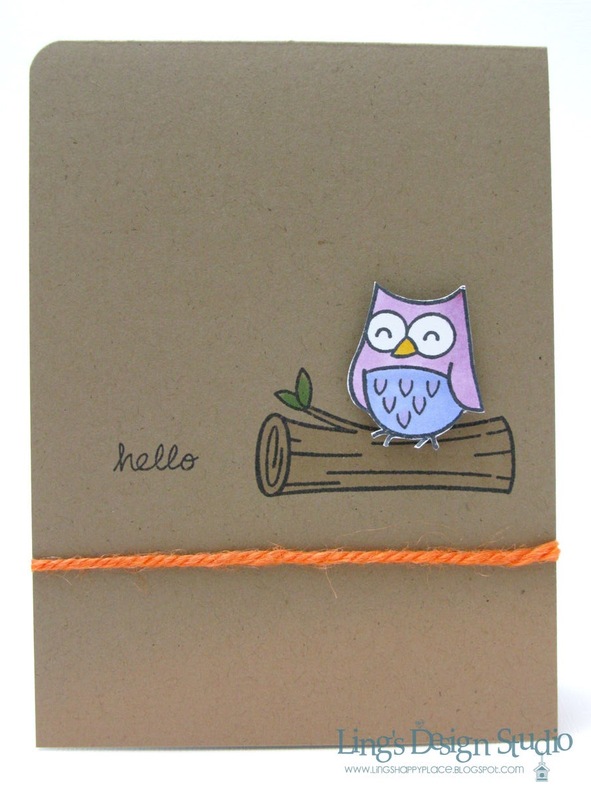 Anyway, for today I want to enter this next card for Moxie Fab household item challenge. For my household item I used real party candle and those pretty dots on my card were made using wax by melting various color candles. This project totally bring back college memories. Back then, I love doing artsy stuff on my diary, one of them was dripping wax on the paper, then scrape the wax to create the translucent look on the paper. On this one I didn't scrape the wax. I left it the way it is. Happy Monday, lovely peeps! It's time for a new Lawnscaping challenge. 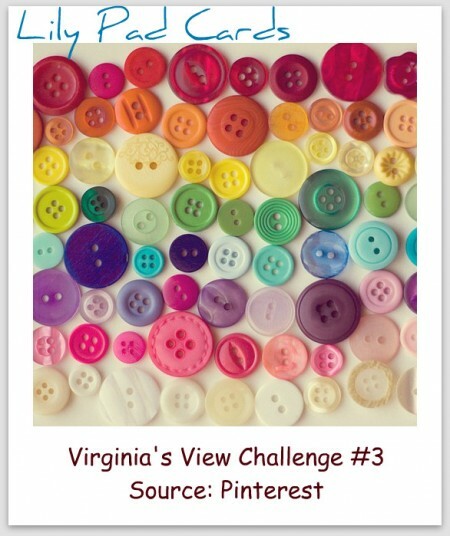 This time our challenge is to create any project inspired by a fellow crafter. It could be from a magazine publication, or from blog project, pinterest, etc. And for this challenge we are sponsored by the fabulous Lawn Fawn. 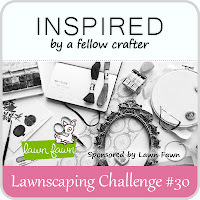 Please check out the Lawnscaping blog for more inspiration from the DT gals and I sure hope you will join us on this fun challenge. Please let us know who inspire your project. And, BTW, I got happy email this past Friday. I have 2 of my projects get accepted for Paper crafts Sept/Oct issue. And one of them is not a card. So excited!! Now, how about a couple puppy pics? My boy is growing taller and he starts doing what I called his crazy dance, where he'd suddenly run around the house really, really fast. And, I am so proud of him, because he has learned to let us know when he needs to go outside by scratching the door or the wall. I was so excited when I realized that he understand he has to go outside. For his age, he's very smart. We really don't have that many accidents in the house and right now, he's only 3,5 months. Oh yeah, he needs to lean that papers are off limit as well. He likes checking my scrap box and seem to think papers are toy. Thanks for stopping by and may your week start off wonderfully. 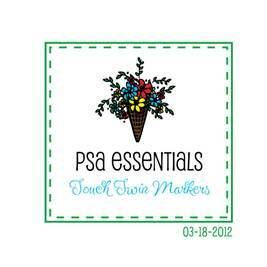 Hi everyone and welcome to PSA Essentials & Touch Twin Markers blog hop. If you arrive here from Regina Mangum blog, then you are on the right track. If you arrive here from your regular visit to my blog and would like to join the hop (which include an awesome giveaway, see the end of the post), please start at Touch Twin blog. For this hop, we get to try the touch Twin Markers by Shinhan Art, which I also had the pleasure to try when I was at the CHA. They're pretty awesome and in my opinion just as good as Copic. And price wise, they're definitely cheaper and they're also refillable. For my card, I used this fancy rosette from PSA Essentials Rosettas set. I lightly draw a grid and then stamped the image 9 times. To finish the look, I added this gorgeous green silk ribbon from May Arts. Hope you enjoy the hop. Your next stop is Bev Gerard. Don't forget to leave comments along the way. You have till Tuesday, March 20 to leave comments. Thank you so much for stopping by here and enjoy your Sunday! Hi all. I am so sorry, I am totally messed up on my first post for Lily Pad Cards. Yikes.... Works has been so crazy busy since I came back and so many catching up to do. 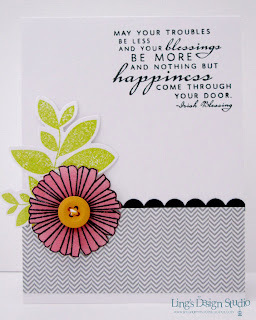 Anyway, here's the latest Lily Pad Cards Virginia's View challenge #3. The challenge is to create a card inspired by this pic and for this challenge we are sponsored by The Stamps of Life. And, I get to play with this fun kite set. In case you don't know, I am very much a color lover. :) So, for my card I took the color and the row for inspiration. 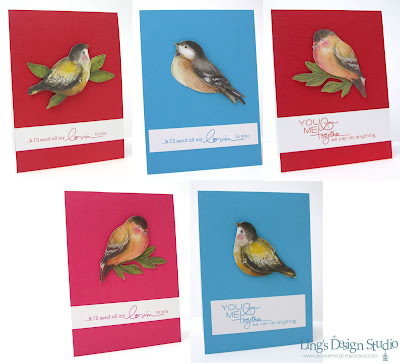 For details on the prize, challenge rule, and fabulous inspiration from the DT gals please go to Lily Pad Cards. Thank you all so much for stopping by here. That's the question of the day. :) You likey mustache or no likey? For me, it depends on the situation. For hubby, I prefer no mustache. I like clean shave face. For card..., well yes of course. It's fun playing with mustache, which seems to be a trend right now. 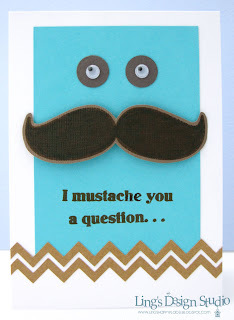 Here's my latest card using SP & Company mustache stamp from their March release set called "Mustache Madness." 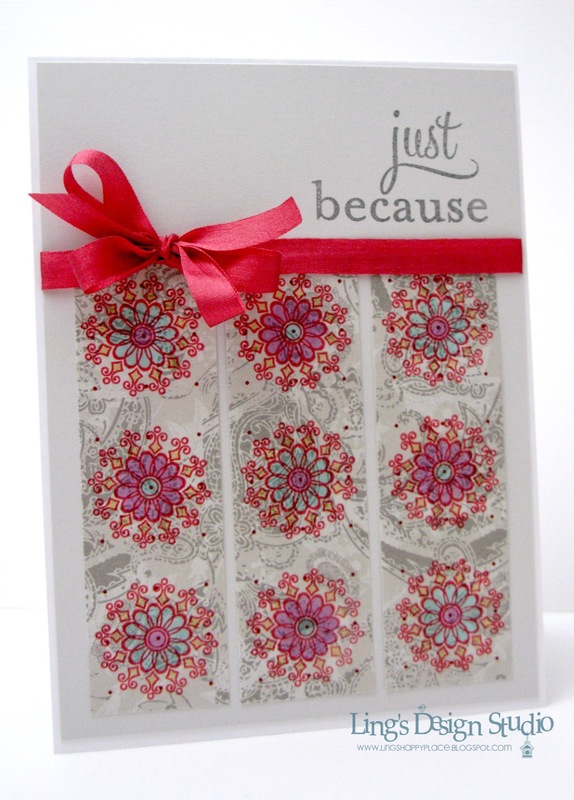 And, what I love about this set, it comes with lots of sentiments that are just so fun to match with this title. Here's a look at this masculine & fun set. 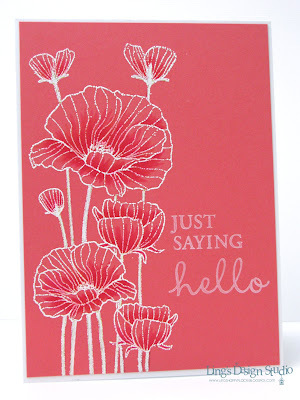 Check out SP & Company store for more fun & fabulous stamp sets. Short & sweet today. Thank you all for stopping by and have a FAB-ulous Friday. I love coffee. If there's one thing that would be pretty hard for me to give up that would be coffee. I like it hot and I like it cold. Cappucino is my favorite. And, in the summer, I love Baskin Robbins Cappucino Blast. I call them my "Cheer Me Up Booster". Besides the coffee itself, I also love cute or unique coffee cup. Hubby and I have a small collection of Starbucks skyline cup from each city we visited on our vacation. Although now that we ran out of space, we might have to curb that habit. 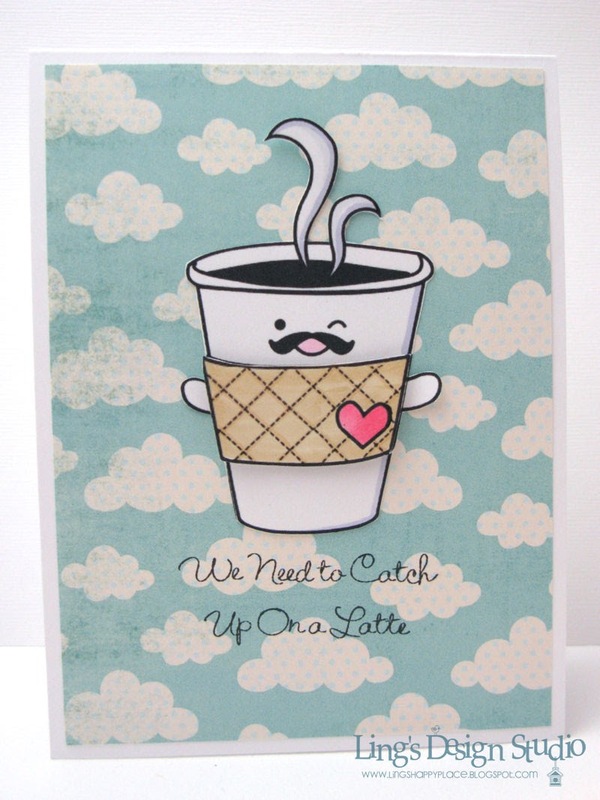 This super cute Mr. Kopi digi image (which translated to Mr.Coffee in English) designed by Cathy Fong. It definitely become one of my favorite digi image. And when I saw this sweet cloud paper on my visit to Hobby Lobby, I know I found the perfect match. Simple design + cute image = me. Thanks so much for stopping by here and may your day be filled with things that make you smile. Growing up, I always love reading quotes from my mom's Reader's Digest. On that sense,I am truly my mom's daughter. 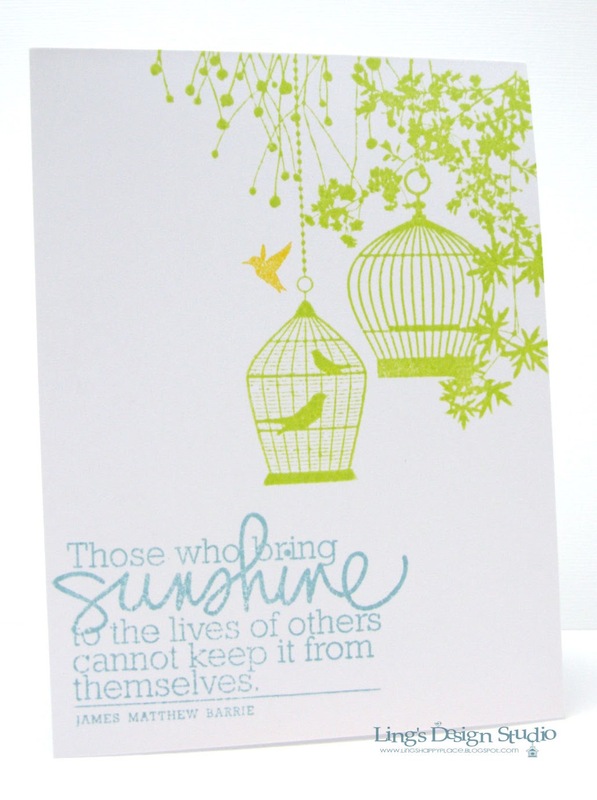 She loves collecting quotes and would use them when she write us a card or when she knows her kids needed encouragement or simply word of wisdom. That love of quotes definitely passed down to me. Most of my favorite quotes has something to do with kindness and about happiness. I believe being happy is a choice. I see many people who doesn't have much or have gone through some hardship, yet they are still happy. I must have reach a good state of being happy because one of my girlfriend call me "sunshine and rainbow". 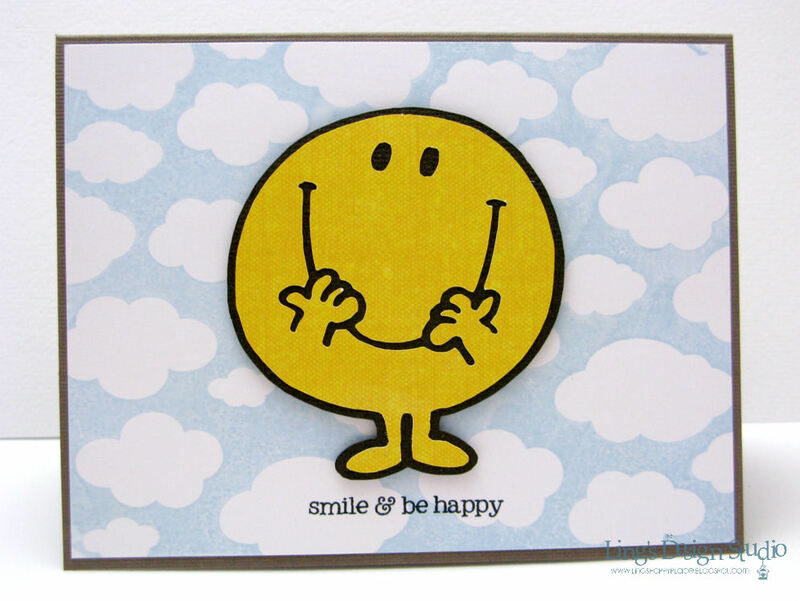 When I am feeling down counting my blessings, being grateful often helps bringing a smile back to my face. With that note..., I make this simple and cute card, which I think will brighten someone's day. Now, what makes you happy? What do you do to cheer yourself up when you're down? I'd love to hear your thoughts on this. Speaking about being happy, I have this little fella who makes me happy. Eli at around 10 weeks old. How cute is he? Eli has grown so much while I was away for 3 weeks. Before I left he was only 4.8 lbs and now he's 9.8 lbs. He's quite a handful (and hubby never let me forget that I was away for 3 week while he had to puppy sit Eli), but he's sweet and smart, too. When he's getting tired, he likes to lean on my leg and I could feel him swaying as he's trying to fight his sleepiness. He's fearless and curious. When I'm vacuuming, he'd follow the vacuum, curious as to what this noisy thing does. When something does scared him, he'd yelp and immediately hide behind my legs, but then he'll look at whatever it is that scared him and bark at it while still hiding. LOL. I love it though how he's such a snuggler. 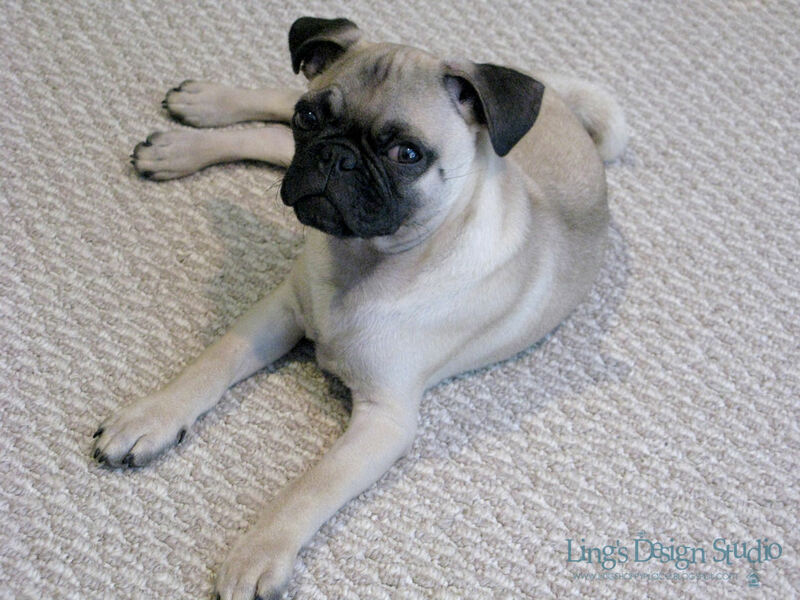 When he's tired or want to cuddle, he just look at you with his big eyes and who could resist a puppy big eyes? He's learning the come and sit command right now. Our biggest challenge would be for him to learn to stop when Ollie our older pug has enough of him. My sweet girl is almost 14 now and she can only play a little bit at a time. This is Eli just last week at 14 weeks old. This pic was taken after our visit to the vet. I've been taking him for a walk around the block for almost a week now. Most of the time he's still too busy trying to keep part of the leash in his mouth while we walk. Gradually we speed up a bit more every day. I am not much of an exercise person, so this help me to get some exercise done as well. Still just a short distance, but hoping I'll have ebough discipline to keep this up and increase our walking distance. 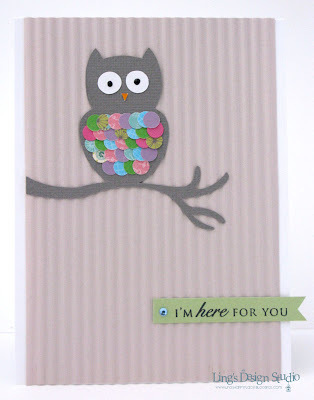 Yay... My colorful owl card from yesterday's post was one of the card featured on CREATE blog for their confetti card challenge. It always made my day when they picked my card. :) And, even sweeter that my card was featured along with my two other teammates from Lily Pad, Virginia Lu & Karin Akesdotter. These ladies inspire me constantly. Now, I promise I'll have the winner for my giveaway announce sometime this week. Well today is the day. First of all, I want to thank all my blog followers. Your supports and your visits to my blog means so much to me and I'd like to take this moment to thank you. I am very, very grateful for you all. Thank you. And, drum roll please..... :) The lucky gal who win the giveaway is... entry # 9 by Lisa. Lisa please email me your shipping information & I'll get the goodies out to you. Thank you to those who play along. I cannot quite remember whether I have shared this card below or not. But, since I love the card, I figure I just post it. Sorry if it's a repeat. I am happy to report that mojo is back. I was whipping up cards left and right last night. So, you can guess what I'll be doing this weekend. Love it when my mojo cooperating and being nice to me. Hah! And it helps, too when new goodies arrived. Seriously, I am blessed to work with some of the most generous companies. 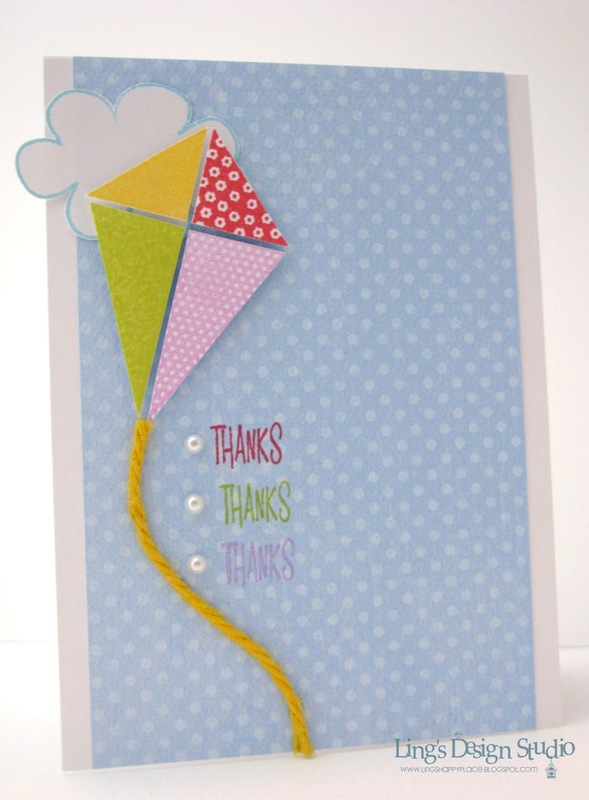 By the way... have you seen Paper Crafts Practical Solutions, yet?? Woot... woot... I have 7 cards published in there. Will share pic later. Now, time to get ready for work. Thank you for stopping by here and have a FABulous Friday everyone. Slowly but surely I am adjusting back to US time. The first few days at work, come noon I started to feel very sleepy. I couldn't help it as the past 3 weeks, noon means 1 a.m. in Jakarta, time where I am deeply asleep! I had to drink 2 cups of coffee a day just so I can function at work. As for my appetite, it will takes a while before I am adjusting back to the food here. After 3 weeks of some super yummy food that were made with so many different spices, Western food kind of become blah for me. I know, I got spoiled. :) And also, because I still feel tired a lot, it affects my appetite as well. 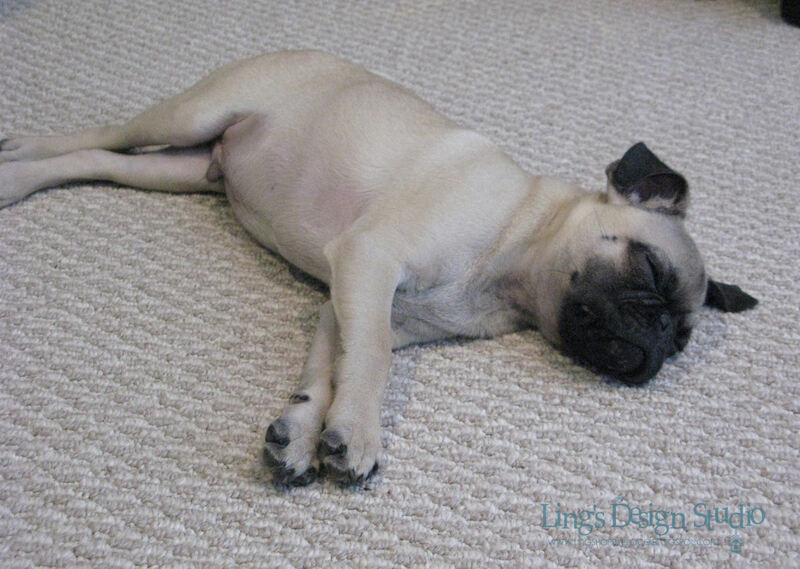 LOL, my body prefer sleep than food at the moment. 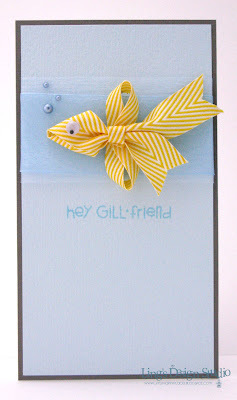 Check out more samples from the DT gals at Some Odd Girl blog. This next card is a card I made awhile back, just haven't share it here. 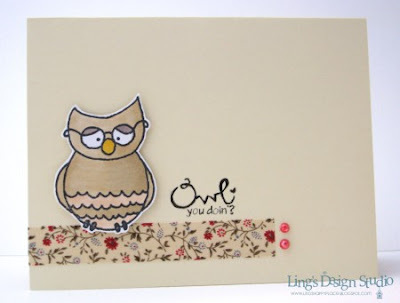 Am making this card using paper scraps to create the confetti that I used for the owl's chest. And, I used my paper crimper that I haven't use for years. That thing is just so bulky, so I tend to just hide it in a drawer then forget about it. Hi all. Are you ready for some wedding pictures and super long post? I sure took a bunch of pictures at my brother's wedding and was only able to share a few some blog post ago. I am finally get the pics sort out (LOL, kind off as there were hundreds) and below is a bit more detailed story of the wedding. Anyway, for those who come here for card, let me share my card for Some Odd Girl Spring Release. Today we're introducing Shy Kaylee and Shy Mae. I really admire Kristy's skill in drawing the sweet & fun images of all the Odd girls. They're simply cute & fun to play with. As usual,I am keeping the design simple and let the image shine. You can see more samples of the sweet shy girls HERE. Now, let's get on to the wedding story, shall we. I have to say this was the best wedding I've ever attended. And the location... simply ah-mazing. 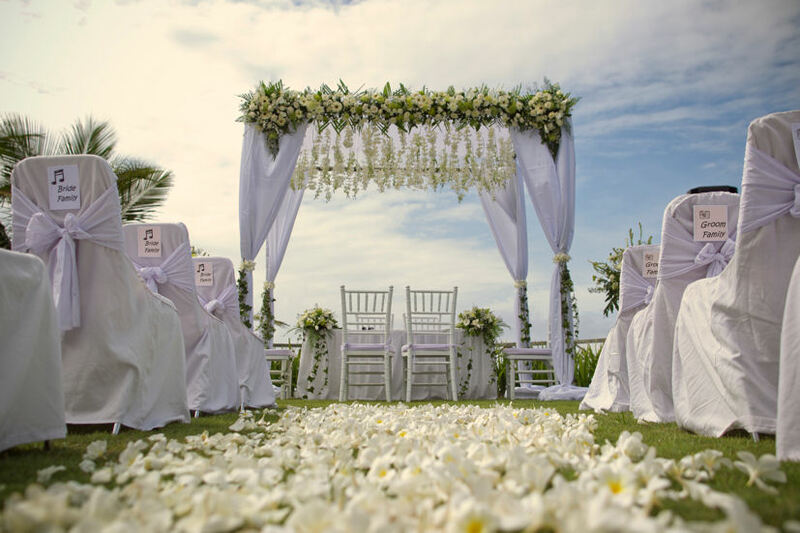 The wedding took place at Khayangan Estate, Uluwatu, Bali. 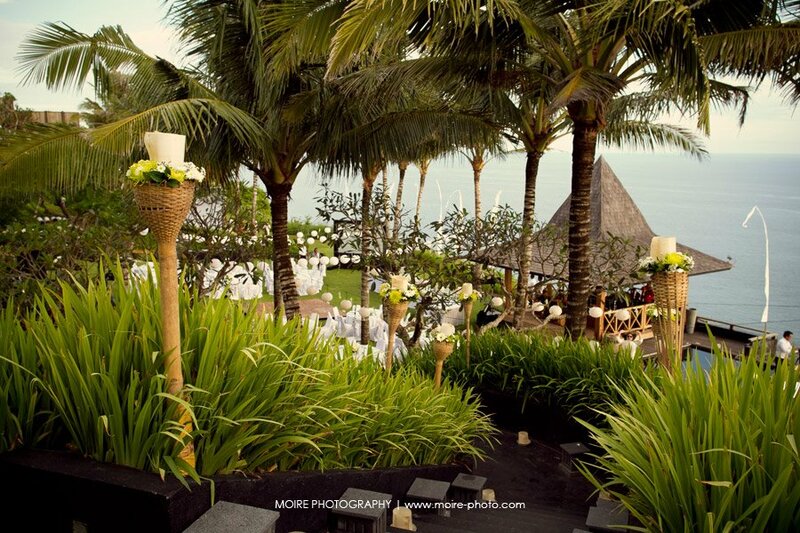 Gorgeous place that consist of 6 villas (3 for groom side and 3 for bride side) and 2 family villas for each side. The place sit high on a cliff that allow you to enjoy beautiful sunrise and sunset every day. 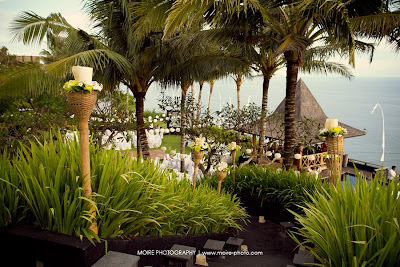 Here's a pic of the area where the wedding ceremony took place. You can click on the pic to view it in larger size. If you see the note behind the chairs, you could see that for the bride size they have the music note symbol and for the groom the camera symbol. This is so perfect for them. 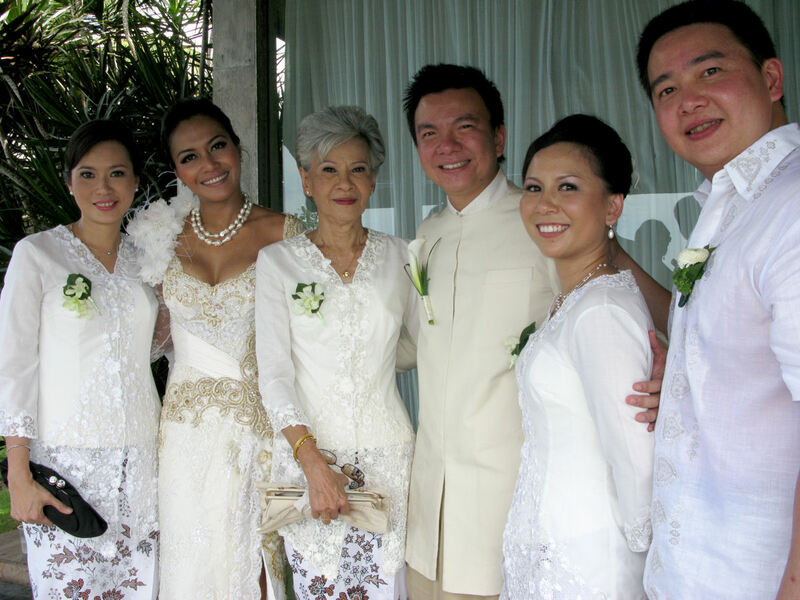 Because many of the family member on the bride's side is blessed with amazing voice. 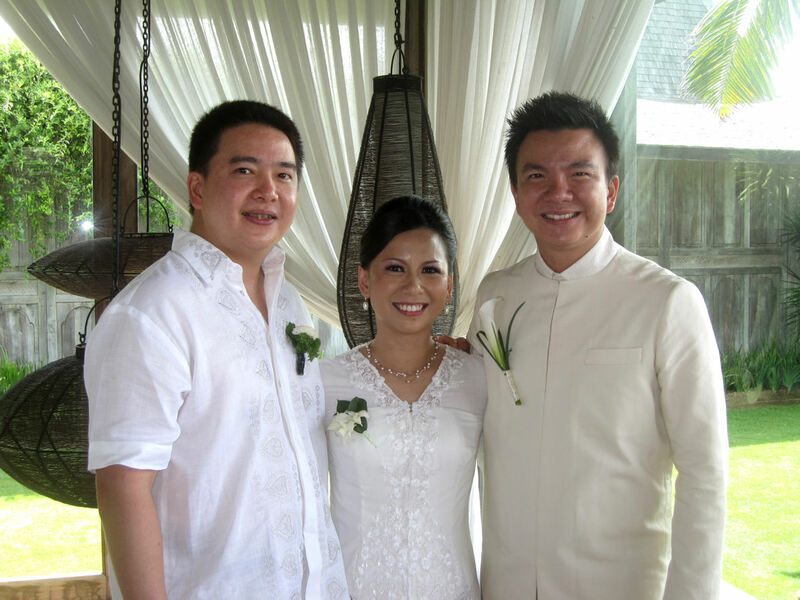 Including the bride herself, who's very well known for her skill in singing all kind of genre. Fun fact, she was the first Indonesian artist to win an Asia MTV Award. And for the groom side, it's also perfect because many member of his family are crazy about photography. Granted the groom is the best photographer among us, but we're all just as obsessed. Really our side of the family should buy stock in Canon. All the flowers were Bali local flowers and all sewn together by the florist on site. Next, is pic of the beautiful bride as she's getting ready to walk down the aisle. Isn't she just gorgeous? But, what I love most about her is her sense of humor and of course the way she makes my brother so very happy. A sister couldn't ask for a better partner for her brother than someone who makes her brother happy & so in love. :) All the professional wedding pic was taken by Max from Moire Studio, who used to intern for my brother. Her dress makes me appreciate the talent of Indonesian's designer. 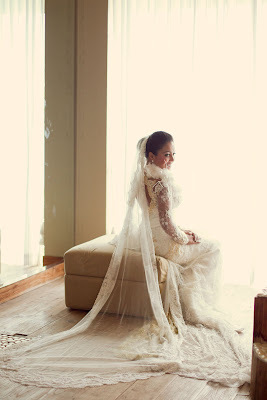 The dress, the veil is stunning. It took my breath away when I first saw her. My little brother and me is only 11 months apart and I think no matter how old we are, I'd always feel very protective of him. Yeah, go figure... since he's definitely could take care of himself better than I could take care of myself. Anyway, since we were kids, if I see him cry, somehow it makes me cry, too. Whether it's happy thing or sad thing. On this occasion, it's the happy thing. Here he's when he's saying his vow to always love his bride in a simple way, to grow old together, and to still holding hands even after they're all wrinkly of old age. Both of their vows were wonderfully stated & so meaningful. from heaven) & hubby who couldn't come. After the ceremony (please scroll down to previous post to see pic of the Mr. &Mrs) we had lunch and in the afternoon, we did the tea ceremony honoring our Chinese tradition. 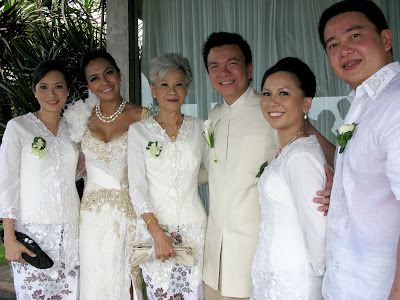 It basically introducing the bride & groom to each other family & extended family. And for the family to welcome the new member, honoring them, & accepting the responsibilities to always be there for them in good times & bad times. Below, is a pic of the beautiful Balinese dancers, who welcome everyone with a beautiful dance at the wedding reception later that night. 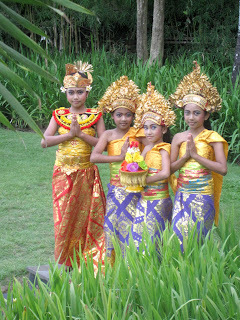 The Balinese dancers in the traditional Balinese costume. 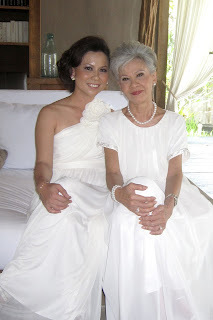 Me & my beautiful mom who I think looks so stunning that day. Here's a look at the wedding reception place just before sunset. I simply love the blue, green, and white combo of the whole atmosphere. The two pics below are a couple of my favorites. 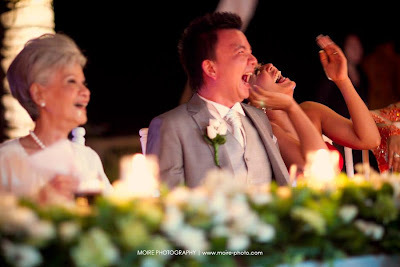 The big laugh on their face truly show their happiness and really reflect them as a couple. They're a couple who loves life & loves laughing together. I mean, these 2 people when they laugh they really laugh out loud. Not holding anything back. Just enjoy & live the moment. I feel like my heart swell with so much love & happiness seeing this pic. 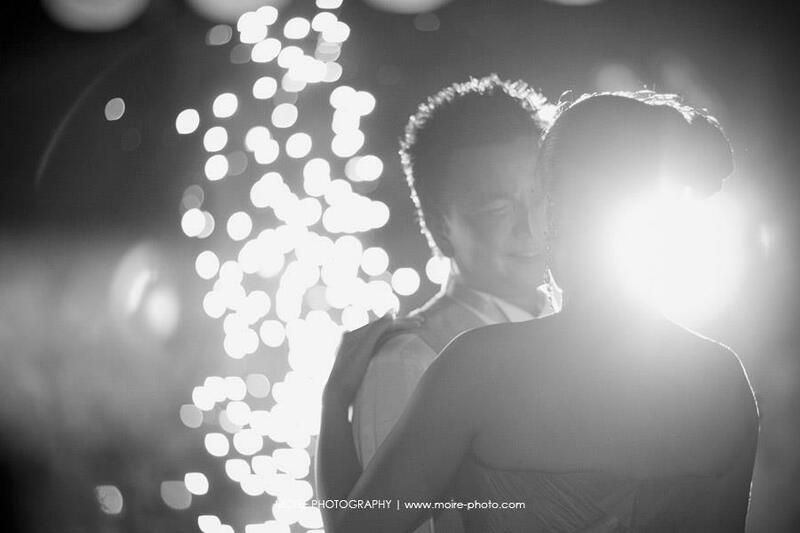 I simply love, love, love this pic of their first dance. The sparklers on the background, the way my brother look at his bride... sigh... beautiful moment. He even told me, you know, when I closed my eyes when I danced with her, everything else disappear, and there's only us. Nothing else. My brother & his bride... they both could be rock & roll on the outside, but on the inside these two are such a softie & romantic at heart. The reception was such a blast, filled with sweet moments & beautiful surprises. There were slides of the bride & grooms travel pics (these two travel A LOT). 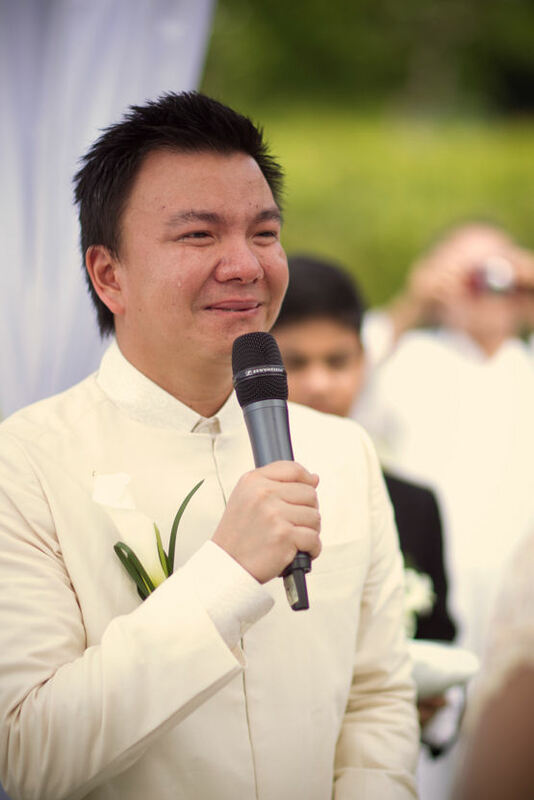 Beautiful & funny speech from my older brother, Jeff, who's also the best man. The bride surprised her husband with a special order cake topper that showing the scene of how they met (he was taking her pic for his photography book In My Room) and she had the original singer of Jerry's favorite song, Welcome to My Paradise, sang the song at the wedding. This guy is Indonesia's version of Bob Marley. Super fun guy who totally gets the party going. The groom surprised his bride with a short video of them, starting from babies to high school (that includes some fab hairdos moment), to how they met, when he proposed to her at the Empire State Building to now becoming Mr. &Mrs. Aurum Wirianta. It was beautiful, fun, memorable, & unforgettable. Most importantly they were sharing their joy with those they love. It's truly a joyous occasion. 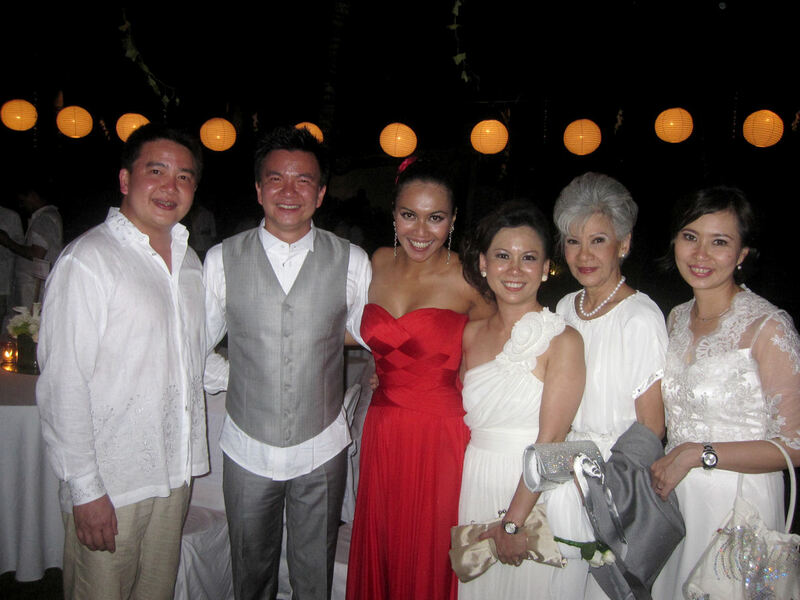 My older brother Jeff, the groom Jerry, the bride Dena, me, my mom, &ny SILRegina. This last pic was the only moment we were able to sneak in to take a family pic at the reception. The bride looks stunning in red, which by the way in Chinese tradition is the right color, as red symbolize happiness. I danced the night away and the whole evening I remember thinking how lucky and how blessed I am to be born into my family. I love my family above everything else in this world. Of all the blessings I have received, I am most thankful that I have such loving & supportive family. And I am so happy and grateful that I was able to attend & share this moment. Are you still here with me?Awesome! Thank you. :) Your eyes hurt, yet? Sorry for the long post. I just want to share this important moment with you all and I hope you enjoy the post. Thank you so much for all your lovely wishes & I wish you all a wonderful day filled with many blessings. This week is a Spring Digi Release week for Some Odd Girl. 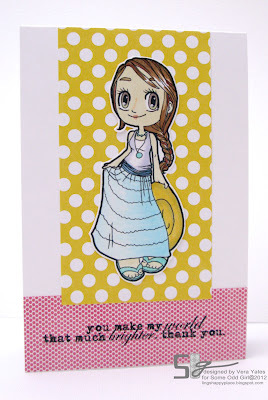 Yesterday, Kristy already revealed the first two digi stamps, Picnic Mae and Geeky Mae on this POST. Today, we are sharing Furry Friends Mae and Happy Tia. I get to play with Happy Tia. I think my mojo and I has misunderstanding regarding when we should be back after our fun time with the family. I am already back and mojo... well, not so much. Either that or mojo experiencing extreme jet lag and doesn't want to come back to work, yet. I think my card turned out just okay. 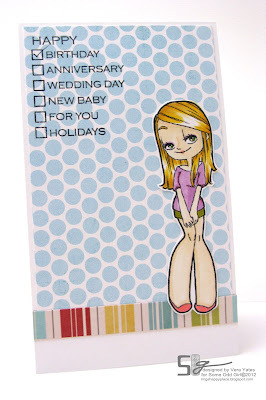 You can see more samples using this adorable digi at Some Odd Girl blog. Thank you to all of you who enter my giveaway. Am still trying to catch up on stuff and will post the winner sometime this week. Thanks for stopping by here and have a wonderful day. Hi all!! After a 24 hours flight home from Singapore via Moscow, I arrived back in the States on Saturday. I like to think I am one of those lucky traveler. On my flight, I sat next to an awesome baby boy. He didn't cry or whine much and when he did the moment his mom picked him up, he quiet down. Then when she put him on the bassinet provided by the airline (gotta love Singapore airline), he sat there all smiling, sweetly watching a kids show. I am guessing he's anywhere between 8 months to a year old. Best travelling baby ever. And, I think everyone who sat near us think the same way. Anyway, hubby picked me up at the airport with a rose (I have the sweetest hubby, don't I?) :) And, as soon as I arrived home, I have 2 doggies who are super happy to see their mommy back home. 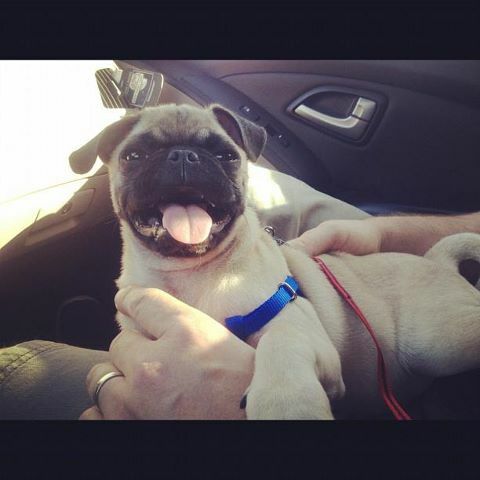 My puppy, Eli has grown taller and lost his pudgy belly that I love so much. He was so excited to have me back home and wouldn't let me out of his sight. Yep, we sure did lots of snuggling. 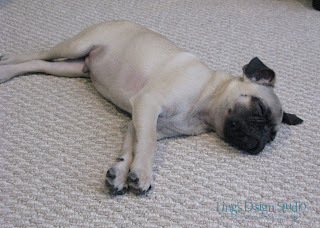 I am still experiencing some jet lag. I tried to make a card and just not happy with the result. As you know first Monday of the month is Lawnscaping challenge time. 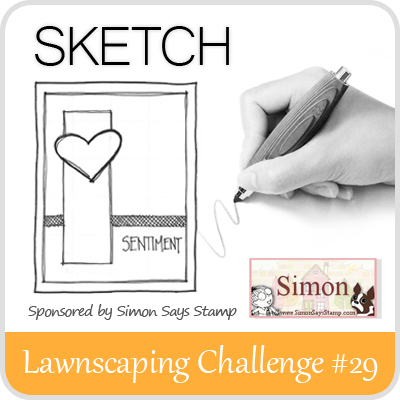 For this latest challenge it's a sketch challenge. I didn't get to make any card, but I hope you will join us on this fun challenge. And, we are sponsored by the fabulous Simon Says Stamp. You have 2 weeks to join us on this challenge. Please check out Lawnscaping blog for inspiration from the DT gals.